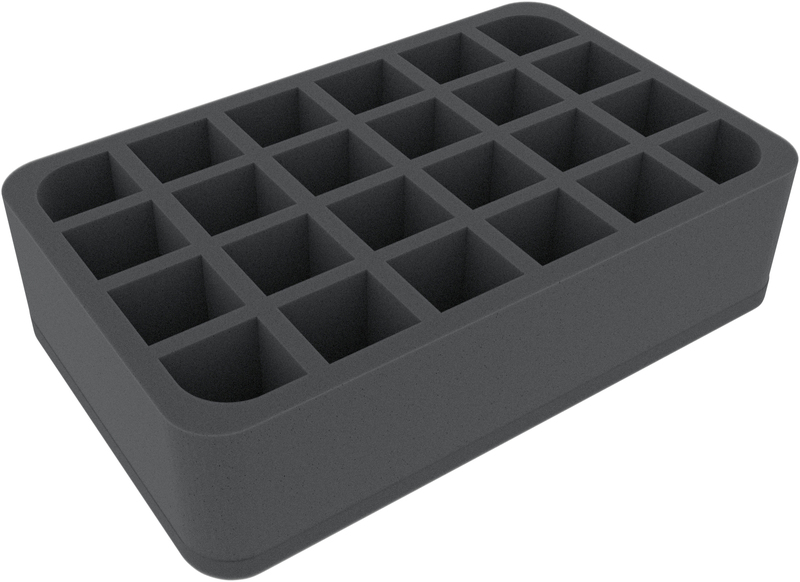 This Half-Size foam tray is divided into 24 compartments of the same size. It is particularly suitable for the safe storage of small to medium-sized figures for various board games and tabletop systems. Game material or other small parts can also be neatly stowed here. Each of the 24 compartments is 36 mm long x 33 mm wide x 60 mm deep. 4 compartments with rounded corners. 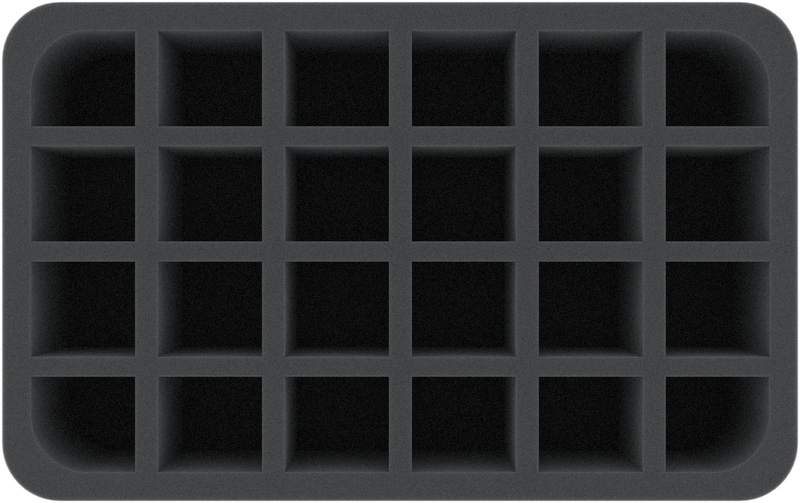 The foam tray has the dimensions: 275 mm x 175 mm x 70 mm total height (60 mm usable height + 10 mm foam base).